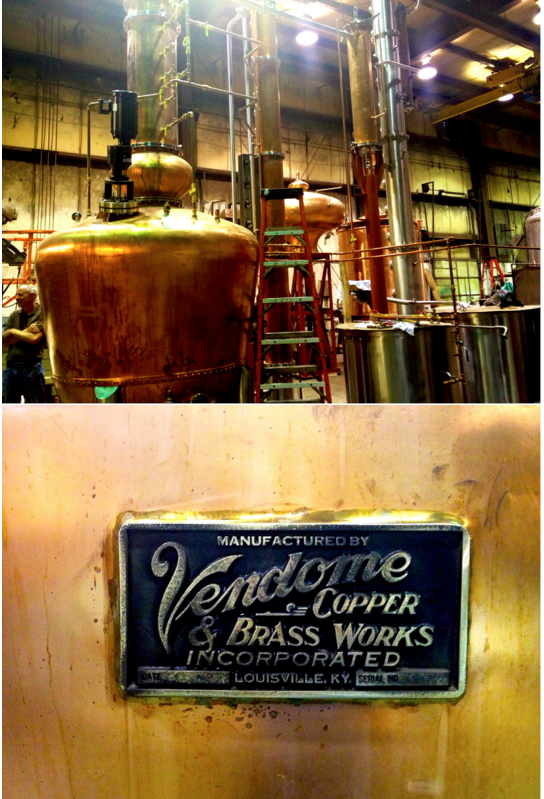 Last week marks the 2nd private tour I’ve had in my life of a custom still making facility. The first happened 1.5 years ago in Scotland when I went with my good friend Chip (Chip Tate of Balcones) to tour Forsyths (click HERE to see that post). 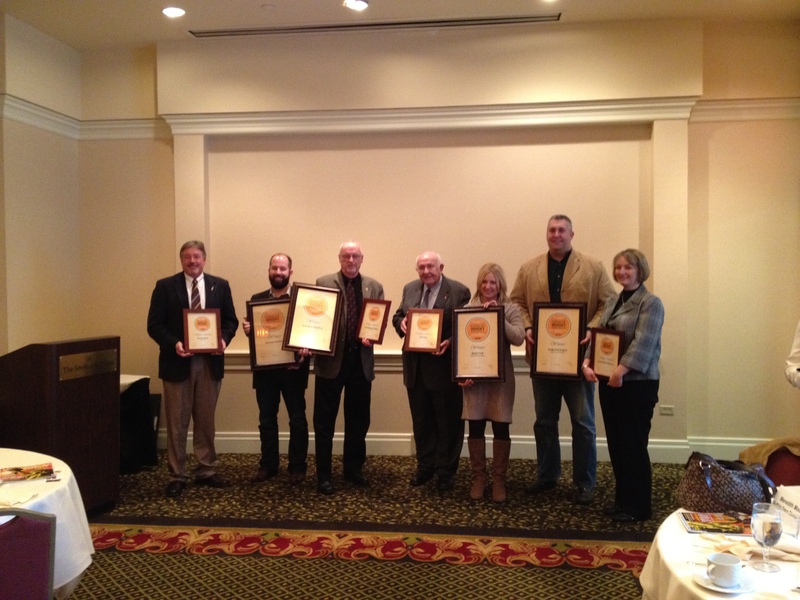 The second happened again with Chip but this time in Kentucky, USA when he and I were in Louisville to receive our respective Icons of Whisky awards (personal plug: YAY!!!!!! GO BRENNE!!!! That was such an exciting moment for me. I shared the experience in a short blog post on my Brenne site HERE if you’re interested. 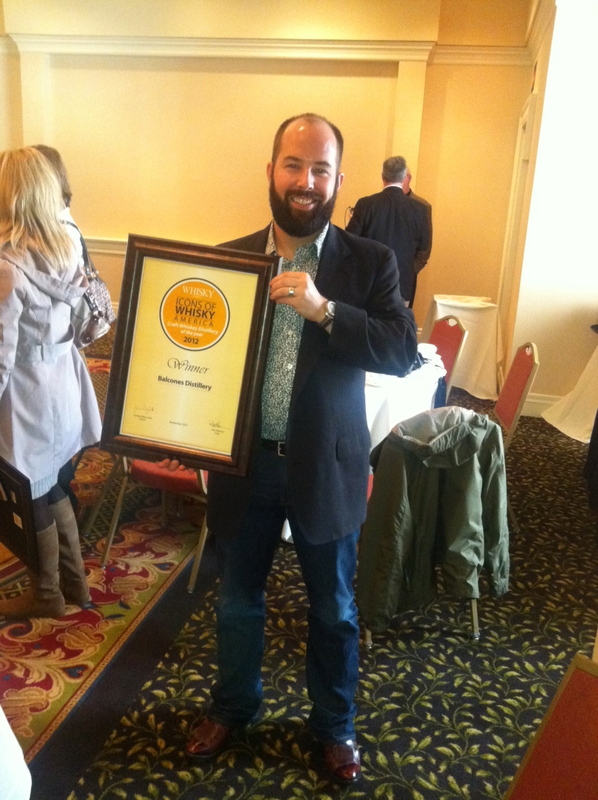 Also, HUGE congrats to all of the winners, including Chip who won Icon’s Craft Distiller of the Year for the 2nd time!). I can only guess that we looked a bit like a fancy clown car. 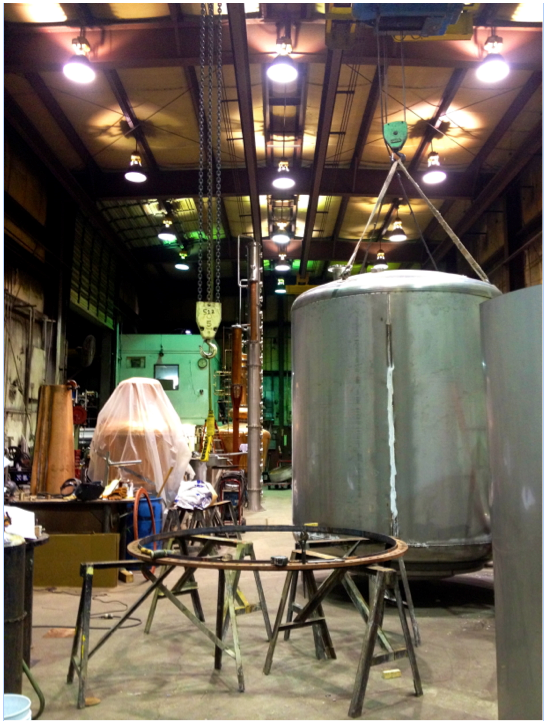 Chip – whom I’ve seen for years almost exclusively wearing his carhartts – was nicely dressed in a fitted suit and I in stilettos and a silk dress … just the perfect outfits to tour a massive metal-smith shop! With our Icons awards and our caravan of cases & bags holding bottles of Balcones & Brenne safely in the shop, we jumped right into geek-heaven, talking about alloys, welding techniques, still shapes & sizes (of which there were MANY!) and all the time comparing the different techniques between the Vendome & Forsyths artists (and artists they are). 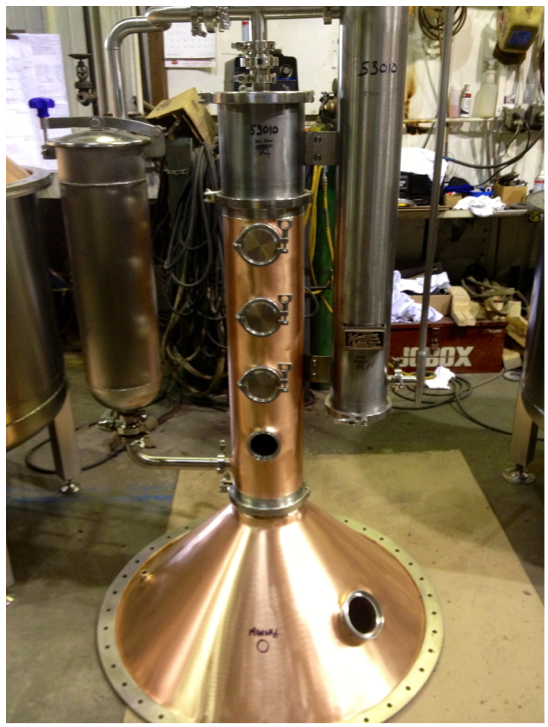 From what I understand, there are only 2 still manufacturers left in the world who create truly customized stills. 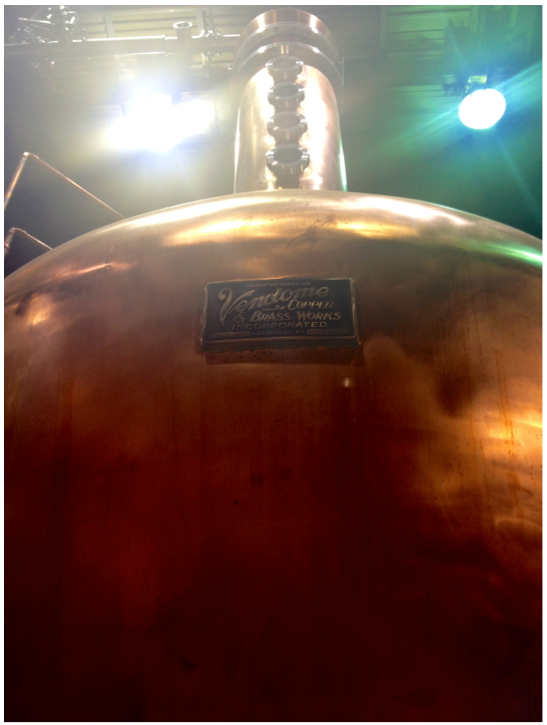 And Gordon is the man who takes a distiller’s visions from dreams into fully functioning stills. He showed us one still that he completely engineered himself based off a single, 2 dimensional drawing with limited information on size & scale – a skill I so deeply admire and find nearly impossible to get my head around. There are other still-making companies out there who have set sizes and shapes which people can piece together to “design” a still suited for their needs – but to go from the ground up with a unique concept to full completion – there is only Vendome & Forsythe. Both of these shops are not open to the public, you’re not able to tour them as they are fully working facilities that keep our great distilleries functioning all year round. However, both were extremely generous to not just take Chip and I around but also let me take a few photos to share with you here on my blog. So it’s my honor and pleasure to be able to show you a small glimpse inside Vendome, a magical place from which many of our great American whiskies get their start. 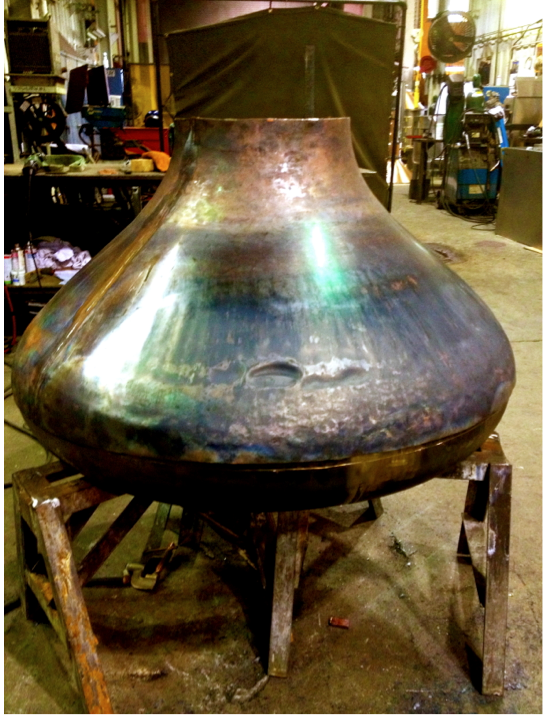 The stainless steel oval “bubble” on the above still tops right side (left side when looking AT the photo) is a gin ‘basket’ – where you would fill with your botanicals and direct the distillate to run through that area as it came off the still rather than having it go up the main copper neck. I saw this welding helmet out of the corner of my eye and maneuvered through a particularly complicated area (only tricky for a heel-wearing person) to get this photo. 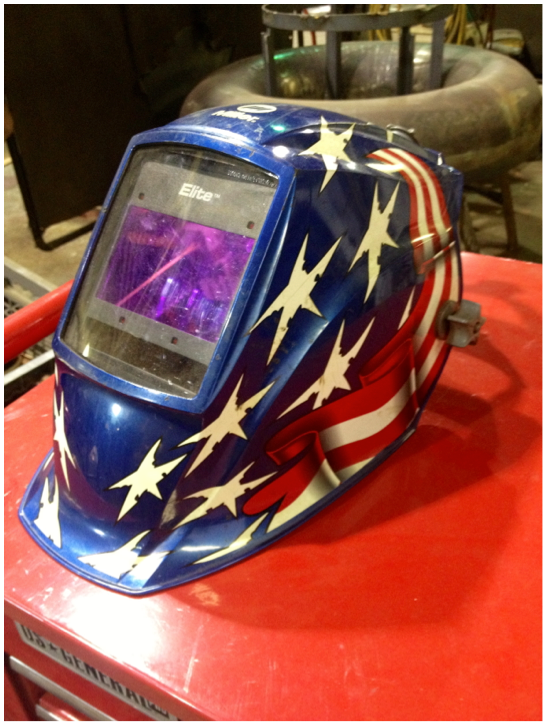 In a sea of black welding helmets, I just thought this mask is so bad a** – so American – so right to see in the middle of a Kentucky still making facility. The next 3 photos are all related to one another. 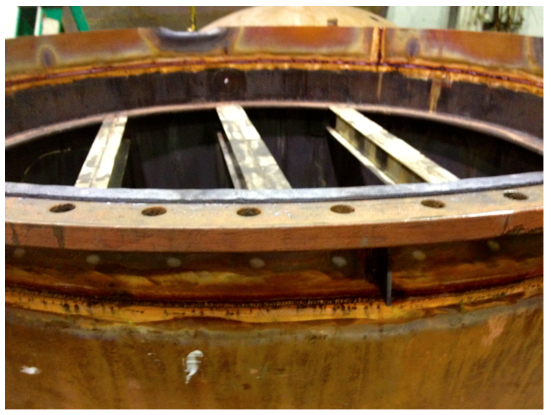 This is a small section (<though massive in size) of one of our country’s largest whisky distiller’s column stills. 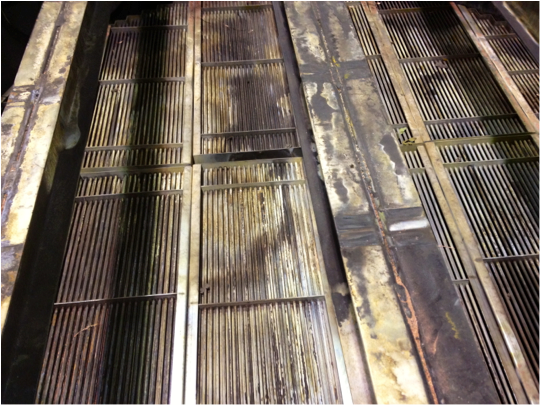 It’s kind of like looking at a cat-scan of the column, allowing us to see inside a section their rather HUGE stills. Inside these columns are thousands of cross sections of tiny copper tubs, creating ample opportunity for the distillate to react with the metal. The sheer size of this blew my mind. I couldn’t even stand back enough to get a photo of this piece in its entirety and this is only a SMALL SECTION of just one part of one still(!!! 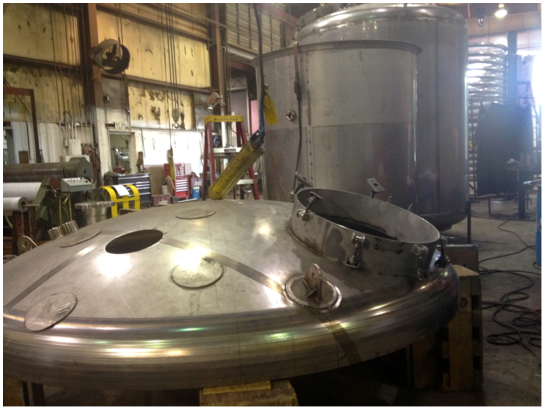 ), which alone was bigger then a few of the full-size stills around the shop. 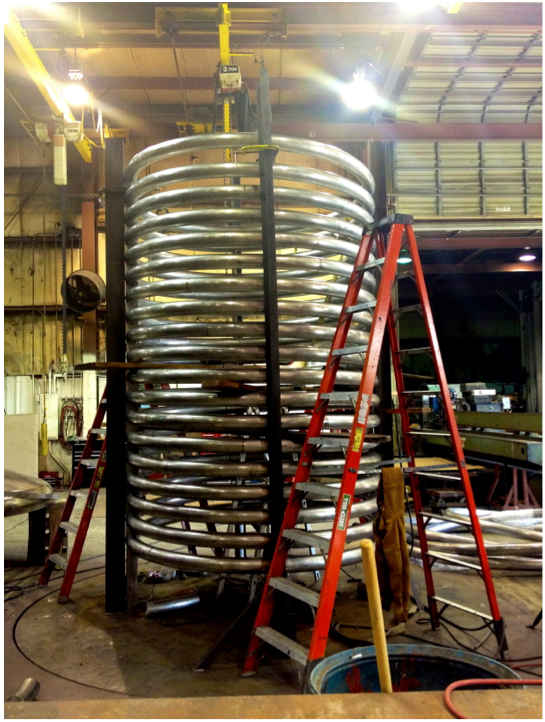 Above are the sections of copper tubing that fit together like puzzle pieces inside the column (below) to create horizontal “beds” of copper tubing to react with the distillate as it rises through the column. I took the below photo because we were discussing just how tall the columns are on these stills and Gordon said that they couldn’t fit standing upright in Vendome’s space but would have to be laid down (and take up a majority of the room below – crazy!). 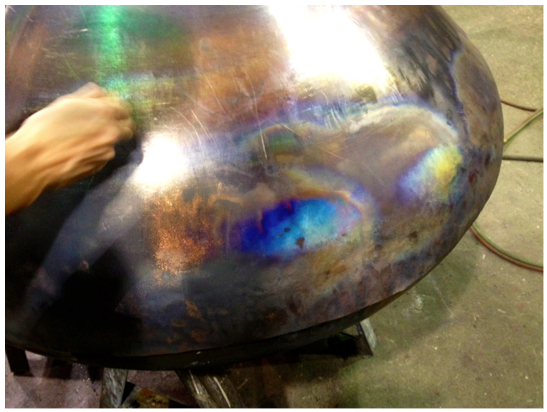 Below Gordon, Chip and I took turns knocking different areas of this particular piece of cooling copper to hear how the pitches change when the metal is at various temperature (the different colors also indicate the variety of temperatures of the metal). 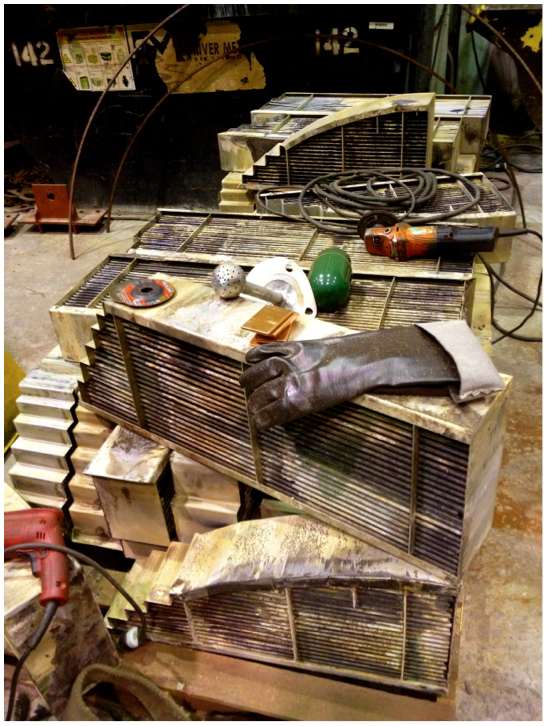 CLEARLY these pieces are hand-made … I love seeing the hammer marks and “dings” (above) of an artist’s work in progress. 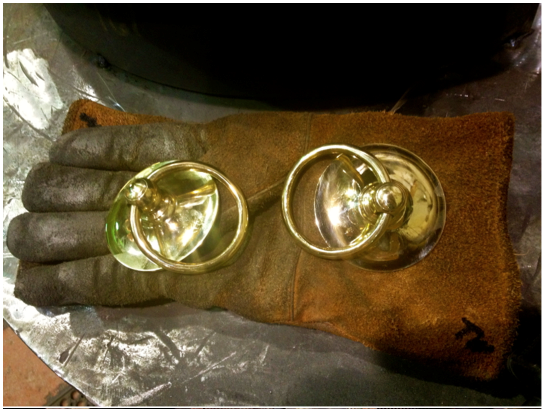 These will get smoothed out in time (below) but it’s quite beautiful to see stills in the making. One of the things I love most about “whisky” is the people. It takes an army to keep this industry moving forward and there is a real brotherhood/sisterhood about it. 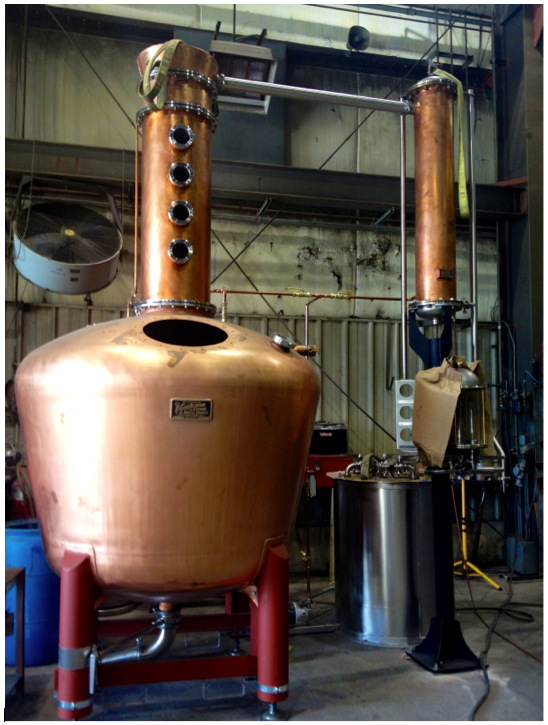 Obviously everyone wants (& needs) to make money – but the majority of people who actually make the spirits and the stills are here because they really love it. It’s a true honor to work in this industry and be able to share some of these inside moments with you here on my blog. 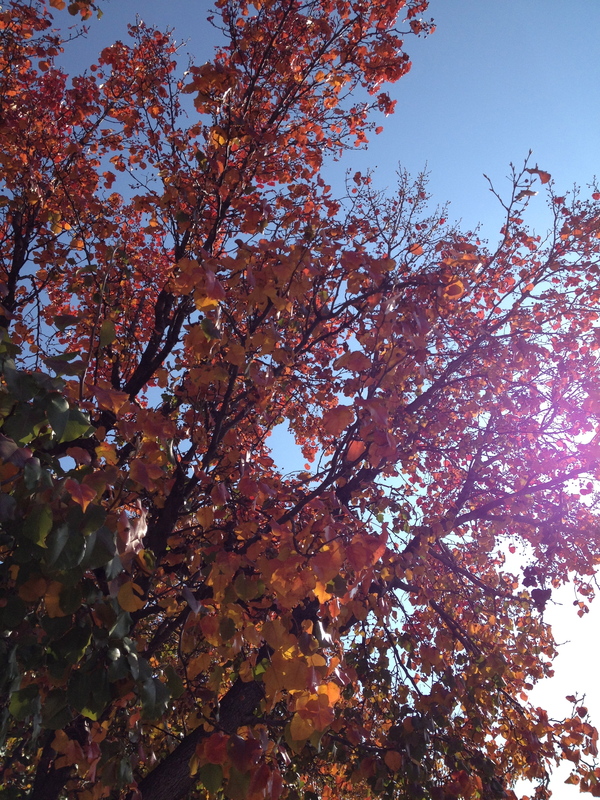 I THANK YOU for your support of my posts which keep me coming back to share and write more & more. Well, I am happy to say that this season has not let me down! The calendar keeps filling up, the events get better and better, and these days, I often find myself between a [preferably full] glass of whisky, great company and my next flight … I swear, if it weren’t for my recent swing of hating mornings, I would have otherwise thought I were living in a dream! To follow up from the Whisky Events Roundup Part 1 post from last week, today, I give you Part 2! What: Annual awards ceremony at the historic Seelbach Hotel where Whisky Magazine presents the winners of the Icons of the Year awards for American distillers, distilleries, retailers and brand ambassadors. Who: The who’s who of American whisky. Tom Bulleit (Bulleit Bourbon & Rye), Jimmy Russel (Wild Turkey), Julian & Preston Van Winkle (Old Rip/Pappy Van Winkle), Jim Rutledge (Four Roses), Kevin Smith (Maker’s Mark), Damian Riley-Smith (Whisky Magazine), David Sweet (Whisky Magazine), Mark Gillespie (Whisky Magazine & WhiskyCast), a few awesome folks from Buffalo Trace & Heaven Hill… Of course there were others but I couldn’t get everyone’s card (though I did try!). My apologies to everyone who I missed on this list. It was such an amazing group of whisky-lovers I was honored to have been a part. 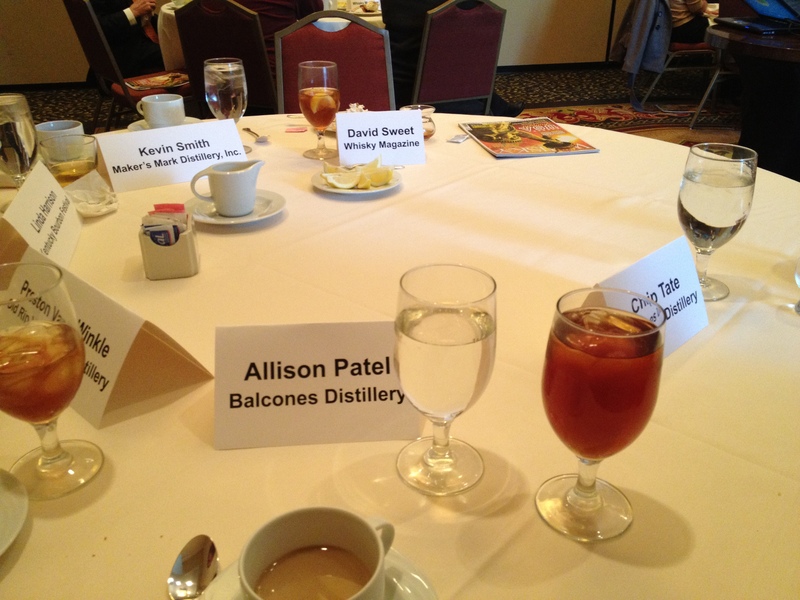 Holy cow: My dear friend and esteemed industry partner, Chip Tate of Balcones Distillery (who my company represents abroad and with whom we have starting to do some work with together state-side, more fun details later!) but he WON the ICON OF WHISKY AWARD for best CRAFT DISTILLER!!!! This is HUGE and wonderful news and I couldn’t be more proud of Chip, his team and all of their dedicated hard work. I know it feels great to be recognized and this is so well deserved! Congratulations!!!! YAY!!! 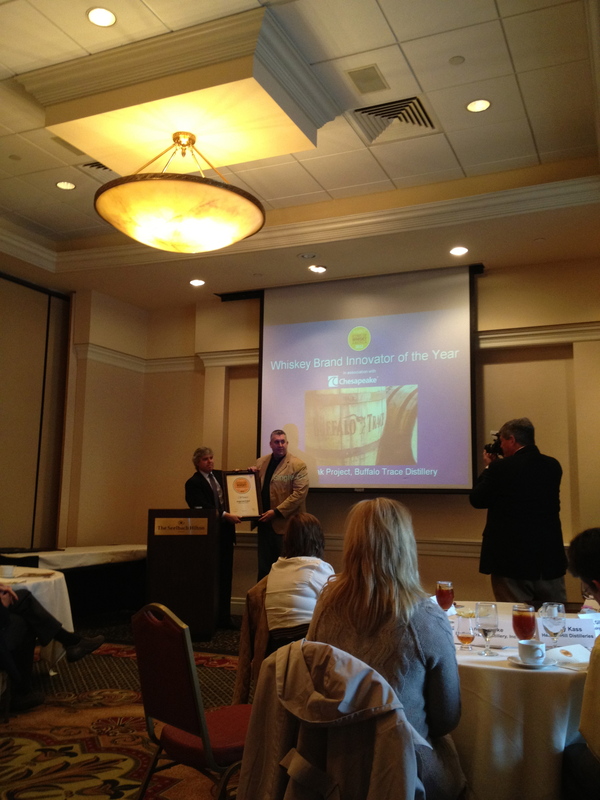 Chip Tate won Craft Distiller of the Year!!!! 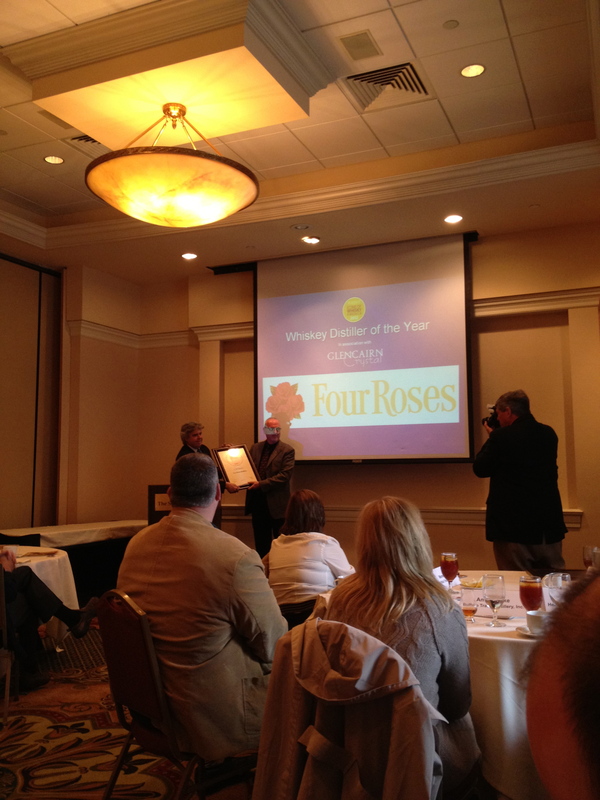 ...and the Whiskey Distiller of the Year is..... Jim Rutledge, head distiller at Four Roses!!! YES!!!! That's right!!! Go Chip! 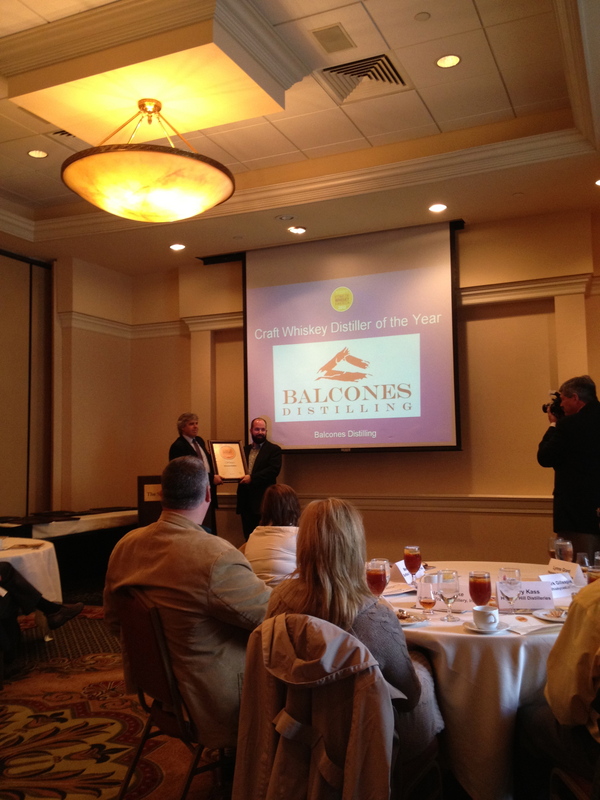 Go Balcones! 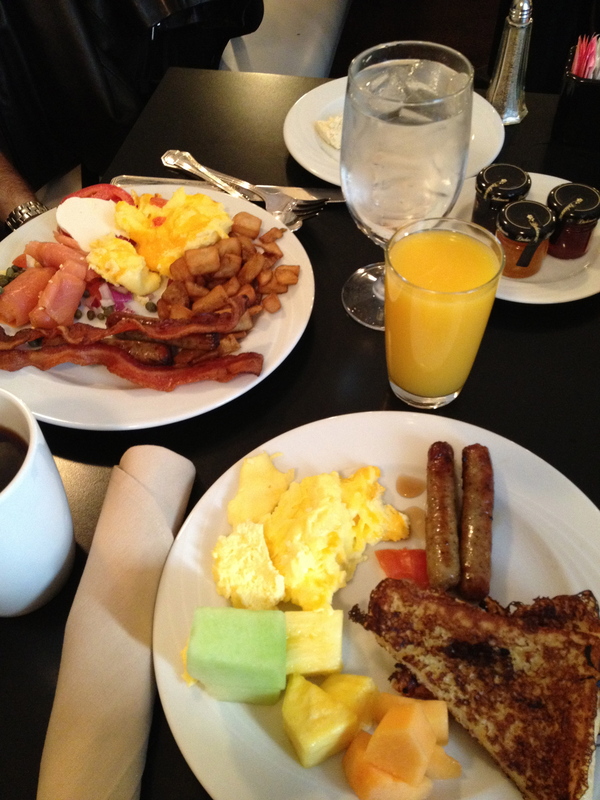 This event was so important and awe-inspiring that I thought it deserved the full attention of this particular post. Tomorrow I will publish the 3rd, and final, post to the Whisky Events Roundup series. Thanks for reading!!! You are currently browsing entries tagged with Icons of Whisky Awards at The Whisky Woman.